Gregg Lewis moved out of Southern California in 1980 in search of a more peaceful life and a place to start his psychology practice. He first nestled into a log home in the quiet community of Lockeford, a small town just outside of Lodi. There he worked for several years as both a landscape contractor and therapist, enjoying the simple life and the fresh air. It was while he was living there that he also met his future wife, Colleen, who was raised in the Santa Cruz mountains, then later in the little town of Big Creek, high in the Sierra Nevada Mountains. They shared many passions and interests, not the least of which was the great outdoors. In the summer of 1983, a wedding was held and they were married amongst the tall redwoods in Colleen’s hometown of Big Creek. They frequently took day trips out of the log home in Lockeford and into the foothills of the Sierra Nevadas. They enjoyed the beauty of the rolling hills covered with green grass in the spring, and they always kept their eyes open for good real estate. 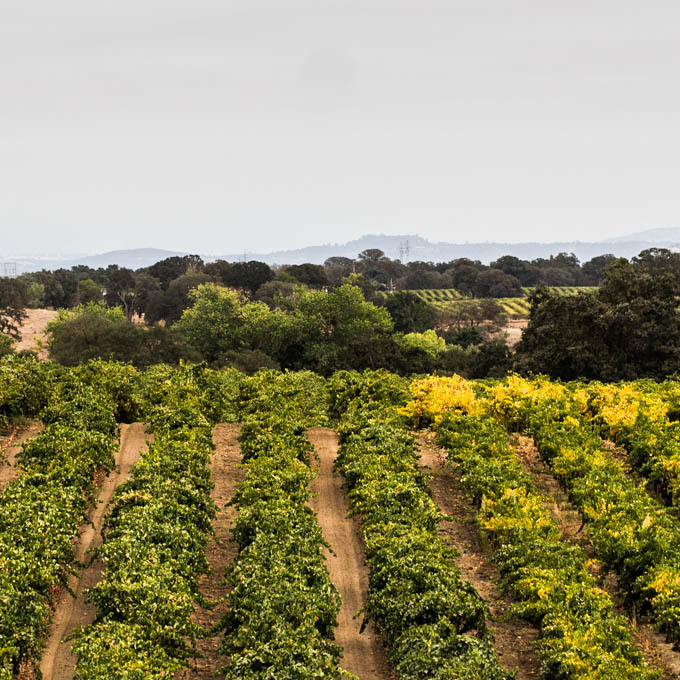 On one of these trips they dis-covered a beautiful fifty acre property with a house on a hill and vineyards that rolled down to the Mokelumne River. They purchased the land and raised their three sons, Dustin, Jared, and Gabriel there on the ranch near the small town of Clements. Gregg taught his young sons good work ethic and showed them how to tend to the vines in each season. 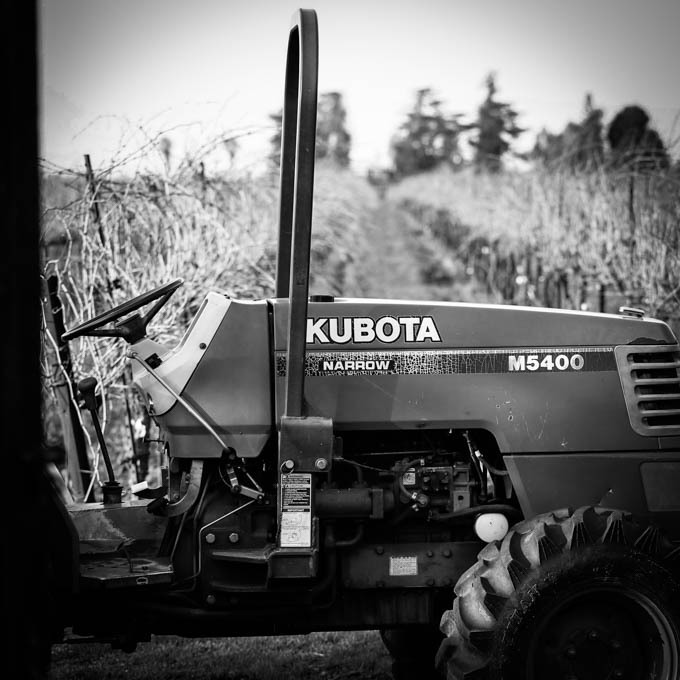 In the winters they would prune the dormant vines, in the springtime they would tie the vines, they learned how to drive tractors and mow in the summers and, of course, harvest in the autumn. The work was often tough, but they were certain that they would find comfort in Colleen’s delicious dinners that she prepared for them every evening. For many years, Gregg and his sons would make wine in the old barn on the property. The boys always enjoyed stomping the grapes with their bare feet and cranking the wooden wine press to squeeze out all the fresh juice. Gregg was pleased with the quality of wine they had made, and he dreamed of having his own small winery someday. Colleen had meanwhile been pursuing both formal and self-education in the culinary field, building on all the years she had been cooking and baking at home. In 2007, Gregg and Colleen decided to take a big step toward having their own winery and restaurant: they bought a century old brick building on School Street in downtown Lodi that had been vacant for a couple years and was much in need of renovation. The whole family spent countless hours clearing out the old building and preparing the plans for their new place. The winery and barrel room were built in the back rooms, a wine tasting room was placed in the center, and a wood fired brick oven was shipped in from Spain and constructed in the front of the building. They chose to name their new venture “The Dancing Fox”, after the red fox that the boys would sometimes have the good fortune of catching a glimpse of as they worked in the vineyards. 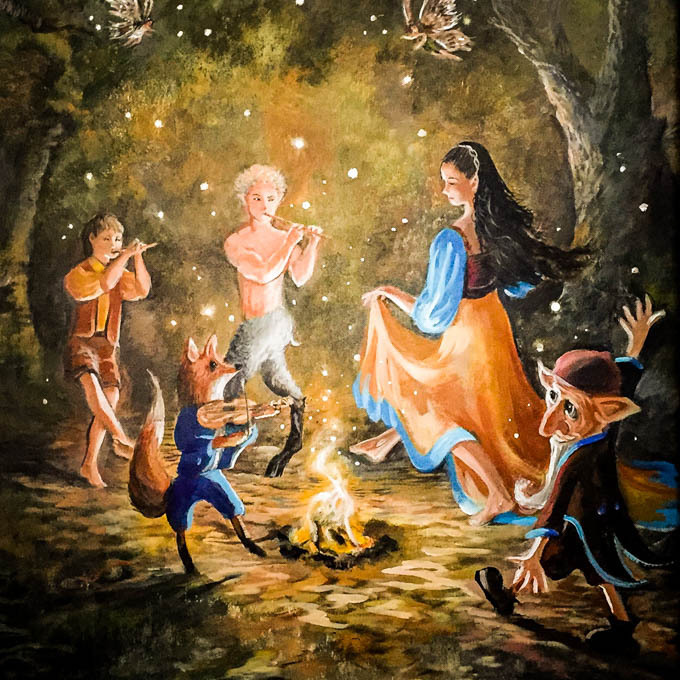 To pass the time, they often told each other stories about what the fox might have been up to and why it always appeared to be dancing. In fact, Gregg is recounting some of these tales in the book series that he is currently writing. In May of 2009, after a couple years of hard work and design, The Dancing Fox was officially open for business. It has been steadily growing and evolving into even more ever since. The boys have started brewing beer for the restaurant and plans are in motion to expand the building in downtown Lodi to hold a new brewhouse as well as a distillery. The brewery focuses on traditional English style ales and barrel aging, and the distillery will specialize in brandy from Lodi grapes and whisky from local grains. Each member of the family has a their part at The Dancing Fox: Colleen heads up the kitchen, Gregg looks after the grapes and the wine, Dustin manages the front of the house at the restaurant, Jared handles the brewing at the cellar, and Gabe helps out each of them.